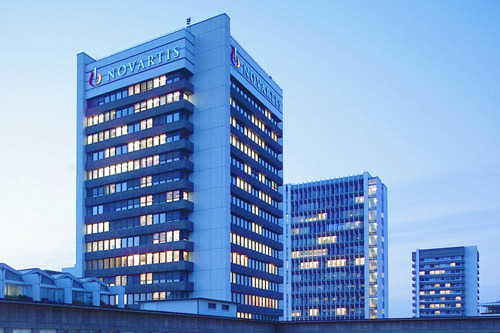 Novartis has announced that the FDA is to fast-track its investigational gene therapy AVXS-101 candidate for spinal muscular atrophy (SMA) type 1, meaning it could be approved as early as May next year. The one-time treatment, now known as Zolgensma, is designed to address the genetic basis of the deadly neuromuscular disease, which is caused by a defective or missing SMN1 gene. Without this gene, infants with SMA Type 1 rapidly lose the motor neurons responsible for simple muscle functions such as breathing, swallowing, speaking and walking. Left untreated, an infant’s muscles become progressively weaker, eventually leading to paralysis or death, in most cases (90%), by the patient’s second birthday. Novartis is expected to provide tough competition for Biogen and its first-to-market SMA treatment, Spinraza. The anti-sense oligonucleotide therapy has seen strong uptake since it was launched in 2017, and earned third-quarter sales of $468m ($224m from the US market alone), up from $271m for the same period last year. Spinraza is priced at $750,000 for the first year, and $350,000 afterwards. 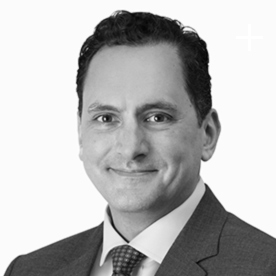 However, Novartis has been hitting the headlines as of late, following an announcement that it would potentially price Zolgensma around the $4m mark - basing this pricing on the fact that patients require just one infusion of the gene therapy, rather than the long-term treatment required with Spinraza. SMA type 1 is the most severe form of the disease, but with Zolgensma, Novartis aims to address its underlying issue, effectively replacing the missing or defective SMN1 gene with a functional copy that makes SMN protein, improving motor neuron function and survival. The application was backed up with some robust trial results too. Known as START, the phase 1 study saw the 15 patients infused with Zolgensma were all alive at 24 months without the need for permanent ventilation. Additionally, 92% of patients who received the proposed therapeutic dose of Zolgensma could sit unassisted for five seconds or more, a milestone never achieved in the natural history of SMA Type 1. Novartis also said that those who voluntarily enrolled in an ongoing observational follow-up of the trial have maintained their developmental motor milestones, including patients who are four years post-infusion. Zolgensma achieved both significant and clinically meaningful overall survival result when compared to those untreated. AveXis, a neurological genetic disease focused company that Novartis acquired for $8.7bn in April this year, developed the therapy. Its president David Lennon, said: “This important step by the FDA brings us ever closer to delivering Zolgensma to patients with SMA Type 1. Babies affected by this rare disease are currently faced with debilitating disease progression and lifelong invasive chronic treatment. "The introduction of one-time, potentially curative therapies will require rethinking how our healthcare system manages diagnosis, treatment, care and associated costs for patients with genetic disease. “Novartis and AveXis are proud to lead the way toward a modern healthcare system built on the tremendous value of truly innovative and transformative medicines that could bend the curve of life. We are committed to flexibly partnering with healthcare stakeholders to ensure appropriate access to our medicines." The drug is also currently under review in Europe, where the European Medicines Agency has said the company can expect a decision during the first half of 2019. Despite the controversy around its proposed price, Novartis believes it is justified. Lennon told Reuters that when taking into consideration the 10-year costs of caring for SMA type 1 patients, the total ends up somewhere between $2.5-$5m. There’s no official word on the list price yet, but a $4m price tag would see Zolgensma become the most expensive one-time therapy yet.